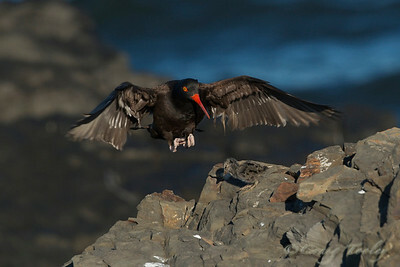 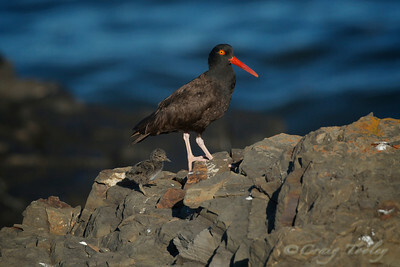 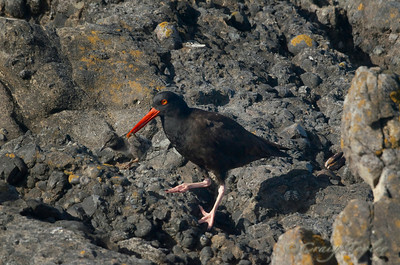 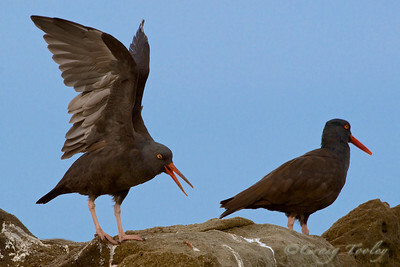 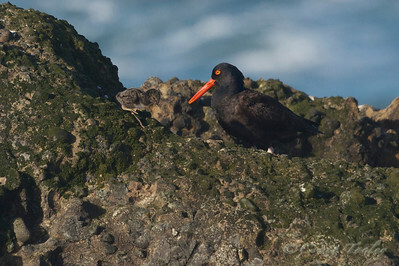 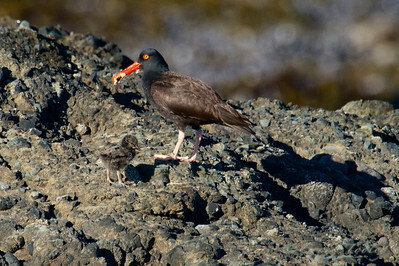 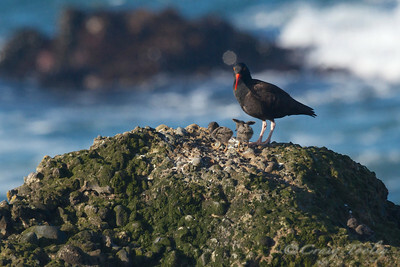 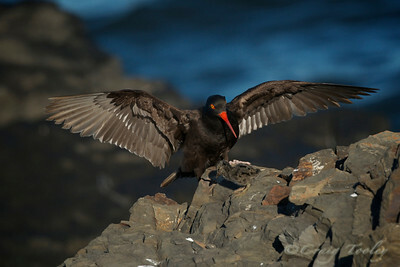 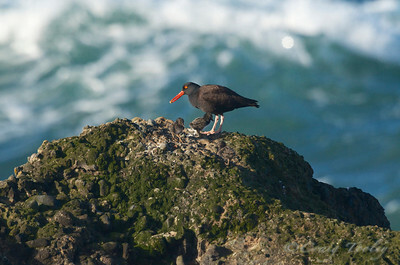 Black Oystercatchers are fun birds to watch, listen to and to photograph. 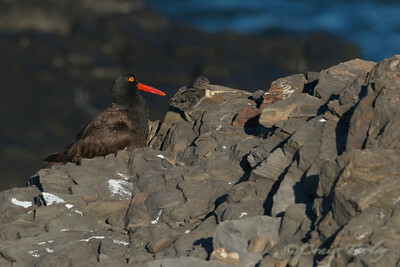 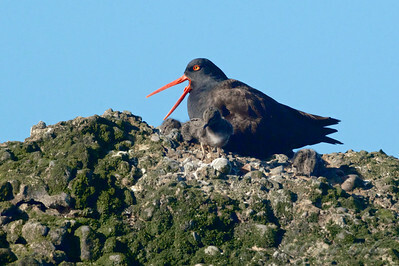 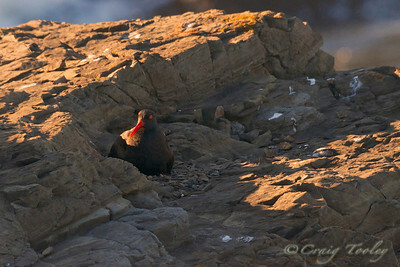 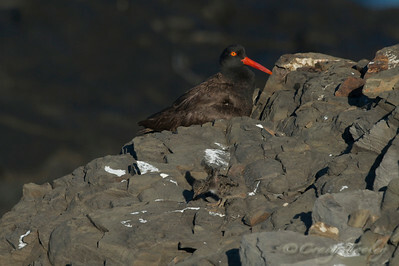 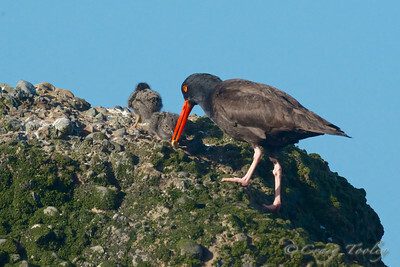 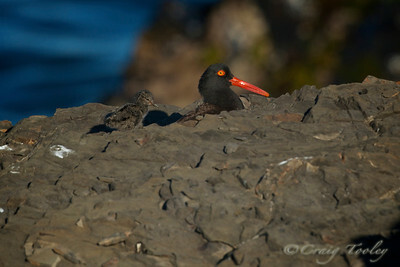 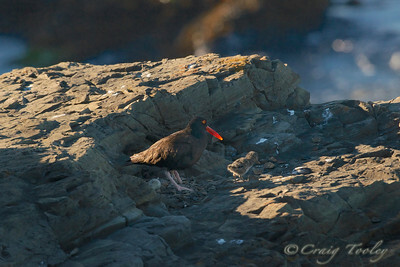 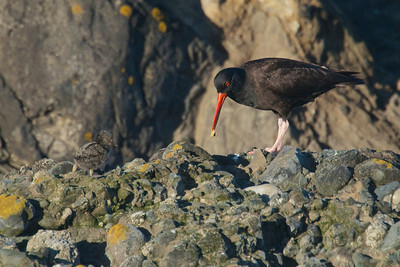 Their nests and chicks on the other hand are a definite challenge to find on the black rocks and crevices. 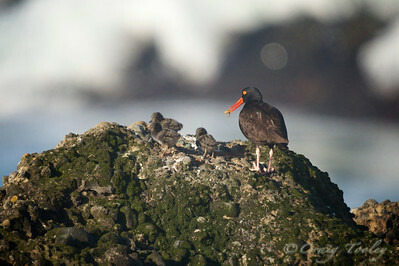 They spend their entire lives in the narrow intertidal zone. 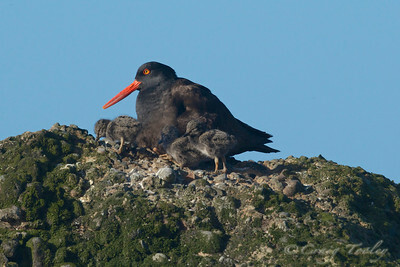 The nest locations are not scattered evenly down the coast but are somewhat clustered. 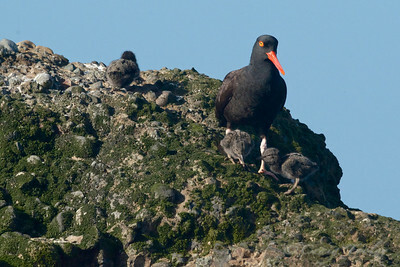 The islands of the California Coastal National Monument provide a certain amount of protection by being separate from the land. 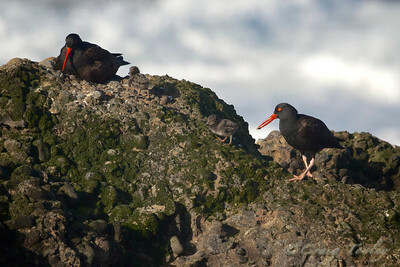 They also have rich mussel beds for feeding. 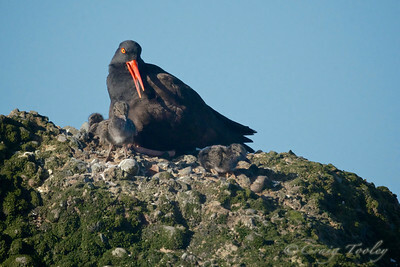 This summer a group of volunteers has been surveying the length of Sea Ranch for sightings of these noisy birds, their nests and chicks. 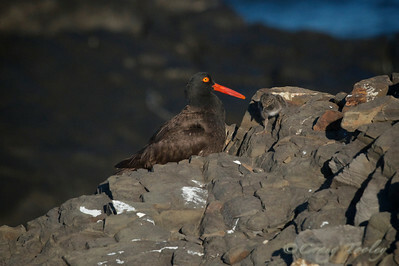 This is a juvenile ABOY.Notice the darkening on the beak and the irregular shape of the iris.